There’s been a quiet entrepreneurial revolution in the Middle East that’s been hidden from global eyes by the incessant news about political revolutions and military shenanigans. The slow rise to prominence of the tech business sector and the general move towards more entrepreneurially based economies has seen multiple players focus recently on making the entrepreneurial ecosystems sustainable. Here I’ll sum up some of the most important relevant regional news, and as there’s hasn’t been a roundup recently we’ll cover the two months of December and January. If you’d like to draw my attention to an important regional story, please contact me on Twitter (@startupegypt) or by e-mail at omar@talkinsense.com. The biggest ecosystem building news came from one of the smallest countries. On December 19, the Central Bank of Lebanon launched Lebanon’s first sovereign startup fund at the BDL Startup Workshop 2013. At over $400 million, the BDL C331 Fund is the largest of its kind in the Arab World. 18 Series A & B Lebanese startups pitched to over 75 seasoned investors in Lebanon’s and maybe even the region’s biggest coming together of startups and investors. Nearby in Egypt, honorable mention must go to the country’s first entrepreneurship summit – RiseUp Egypt. Although the event itself happened late in November, the effects are still being felt. Egyptian entrepreneurship has suffered in recent years from too many egos, so much so locals joked that they had an “egosystem” instead of an ecosystem. The summit was the first time egos were replaced with a collaborative spirit as all the main players and almost two thousand people attended. The weeks following the summit saw the official launch of The GrEEK Campus, a new hub for technology startups. This new privately-funded project aims to create a mini Silicon Valley in central Cairo, though as it’s literally a stone’s throw from Tahrir Square perhaps Silicon Square is more appropriate. The campus will let space to the entire ecosystem of startups, accelerators, investors, multinationals and support businesses. Venture Scout visited Cairo after the summit, as it has been tasked with a project by the Danish government to foster entrepreneurship in Egypt. They’ll run a series of events covering all aspects of startup life throughout 2014. More interestingly Venture Scout co-founder Jakob Kistorp told me that Venture Scout’s parent company Rainmaking, the company behind Europe’s super successful Startupbootcamp accelerators, is using the exercise as a possible launch pad to perhaps set up an accelerator and / or co-working space in Cairo afterwards, with views to regional expansion subsequently. Rainmaking has a proven track record in generating sustainable ecosystems wherever it sets up shop, so us locals are understandably excited by the news. In Dubai, the government backed accelerator Turn8 held its first demo day in mid-January. The group of nine startups from the UAE, Egypt, Indonesia, Pakistan, Belarus and the Ukraine, pitched their businesses to an assembled audience of over 50 international investors. Elsewhere on the social front, Ashoka Changemakers announced the three winners of their “Women Powering Work: Innovations for Economic Equality in MENA” competition. Handasiyat.net, a Jordanian B2B virtual engineering company that opens the door for thousands of female Arab engineers to work by telecommuting, was the sole Arab startup amongst the winners. To the West, January saw Morocco’s 7th Web Awards winners being revealed. Bikhir.ma took the startup award, with Festival Mawazine, Mescadeaux.ma, and Abdellah Abujad taking the app, e-commerce site, and Web personality awards respectively. Although recent unrest has affected deal flow regionally, there was still a number of relatively significant transactions. 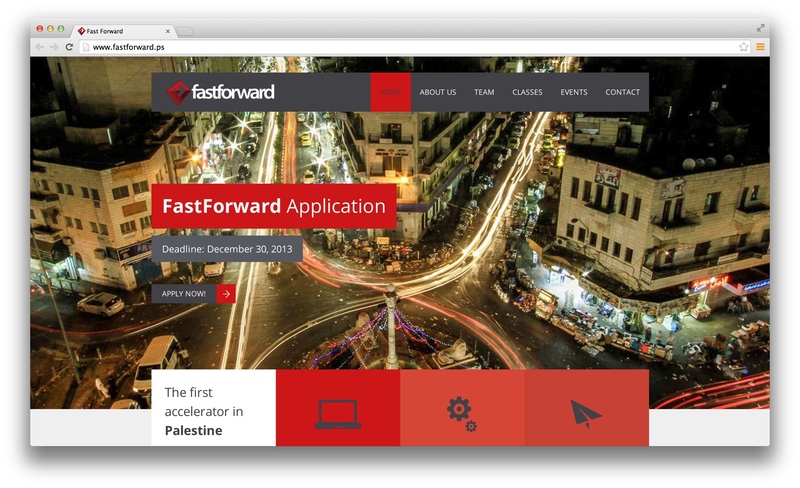 Fast Forward, Palestine’s only startup accelerator, announced its second class of 4 startups in January, after graduating its first 3 startups in December. Arabreneur also announced in late January an investment of $440,000 in four Palestinian startups. Dubai yet again provided the majority of money movement. The founder of Cobone, Paul Kenny, along with Arya Bolurfrushan launched a new early stage VC firm called Emerge Ventures targeting early stage tech startups in the Arab world. The launch of the firm in December coincided with the close of the firm’s first investment fund “MENA Fund I”. They have already made three investments and plan to make ten more this year. Qordoba, the online localization company, got $1.5 million in a Series A fundraising round from Silicon Oasis Investments and MENA Venture Investments. Friendshippr, the Dubai and California-based startup managing informal P2P international shipping launched in December, has gained publicity due to the out-of-the-ordinary way it had earlier secured $670,000 in seed money from American and Emirati angel investors. Back in Beirut, Instabeat, the first waterproof real-time heart rate monitor for swimmers, has secured an undisclosed Series A round of investment led by Wamda Capital and Jabbar Internet Group. And we end this report in Egypt, where BasharSoft, the creators of the innovative recruitment site Wuzzuf.net, became the first Egyptian startup to be accepted into 500 Startups. This follows hot on the heels of Ninja SMS becoming the first Egyptian and Arab startup to be accepted in Y Combinator. While both deals are tiny in the large world of investments, they perhaps point to the fact that the major global players are starting to take the Middle East tech startup scene seriously.